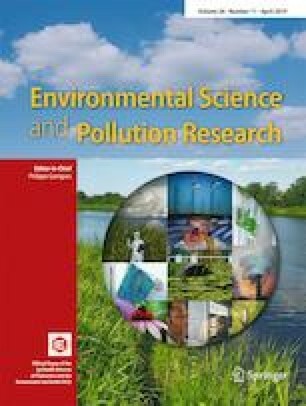 Due to serious nitrogen pollution in the Huai River, Eastern China, nitrogenous concentrations and dual stable isotopes (δ15N and δ18O) were measured to ascertain the sources and transformation of nitrogen in the Shaying River, the largest and most polluted tributary of the Huai River during the summer and winter seasons. Total nitrogen (TN), NO3−, and NH4+ were significantly higher in winter, with values of 7.84 ± 3.44 mg L−1, 2.31 ± 0.81 mg L−1, and 3.00 ± 2.24 mg L−1, respectively, while the highest nitrogen compounds occurred in the Jialu River, one of the tributaries of the Shaying River, in both summer and winter. Isotope characteristics of nitrate reveal that manure and sewage were the principal nitrate sources in both summer (62.44 ± 19.66%) and winter (67.33 ± 15.45%), followed by soil organic nitrogen, with 24.94 ± 15.52% in summer and 26.33 ± 9.45% in winter. Values of δ15N-suspended particulate nitrogen (SPN) ranged from 0.78 to 13.51%, revealing that point source from industrial and domestic sewage accounted for the largest input to SPN at most sites, whereas soil organic nitrogen and agricultural fertilizers were found in the Jialu River in both sampling periods. Point sources from septic/manure and household waste were the main contributors to ammonium in most river water samples in both summer and winter; most wastewater discharged into the river was untreated, which was one of the main reasons for the high level of ammonium in winter. Nitrogen pollution and the dams had an effect on N transformation in the river. Significant assimilation of NH4+ and aerobic denitrification competed for NH4+, resulting in the weakness of nitrification in the summer. Denitrification was also an important process of nitrate removal during the summer, whereas nitrification was a key N transformation process in the river in the winter time. To reduce nitrogen pollution and improve water quality, greater effort should be focused on the management of sources from urban input as well as on the improvement in sewage treatment. The online version of this article ( https://doi.org/10.1007/s11356-019-04470-1) contains supplementary material, which is available to authorized users. Special thanks to Weijing Yan (Institute of Geographic Sciences and Natural Resources Research, Chinese Academy of Sciences, China) and Li Zhang (Everglades Wetland Research Park, Florida Gulf Coast University, USA), who provided valuable comments and feedback. This study received funding from the National Natural Foundation of China (41401549 and 41671479).